The Gunnison County Board of Commissioners voted Tuesday to allocate $50,000 to the ICElab to support its ongoing efforts to diversify the economic base in Gunnison County. ICElab celebrates its first anniversary this spring as a community economic development organization supported, in part, by state, county and municipal funding. It provides consulting and training to current and prospective business owners in the county. In addition, ICElab hosts a co-working space on the campus of Western state Colorado University, as well as individual office rentals. 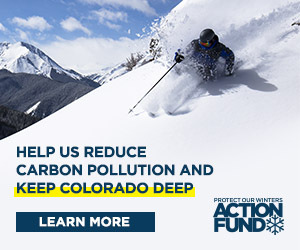 “To me, this is one of the most important things we can fund in Gunnison County. Our citizen surveys indicate a concern for economic development and wages and ICElab is spurring economic development in the county,” said commissioner John Messner. ICElab Incubator is a six-month business coaching program that provides workspace, mentorship and training for participants during all phases of business development. Participating businesses so far have included everything from app developers to horse outfitters, fitness businesses and truck-camper manufacturing. Of the county funds, $12,000 will support Incubator scholarships for local start-up businesses looking to participate in ICElab programming to get their businesses off the ground. In addition, ICElab hopes to extend its Incubator program virtually to reach a wider range of potential businesses outside of Gunnison County. Those potential out-of-county users would then pay to access ICElab resources and therefore become a source of income for the program. ICElab will use $18,000 to develop so-called prosperity projects for the Gunnison Valley in cooperation with the county Community Development department, the One Valley Prosperity Project, and the valley’s tourism associations. These projects include developing a website to assist local businesses with economic development and handling inquiries from businesses seeking to relocate to the Gunnison Valley. ICElab plans to spend $15,000 of the funds to bring one or two high-level speakers to Gunnison to present expertise on rural economic development in the next year. “Our Trout Tank program sold out last year, with well over 200 attendees, many of whom commented, ‘You have to do this again next year,’ so we want to build on that momentum with some high-caliber speakers for the upcoming year,” said Keating. Trout Tank was the celebration of local businesses that participated in ICElab’s business Accelerator program. The ICElab is currently accepting applications for the next round of the Accelerator program that will begin in August 2018. Applications are due May 1. The remaining $5,000 will support training and consulting for ICElab’s Small Business Development Center, which is part of a larger statewide initiative to develop rural economies.